Influencers hit the mainstream in early 2018 and it has become a go-to marketing practice for brands in every industry. Any unboxing video, any travel video you’ve seen, any tech review video — that’s influencer marketing. Restaurants aren’t the exception and in fact, they’re ripe for this marketing strategy. An instagram influencer, or simply an influencer is a personal brand or account who usually has a large and highly engaged audience. For a price, that influencer can endorse a restaurant for their audience to check out. These endorsements could be posts, Instagram Stories, tagging, collaborative postings, or even a written blog post. Much like a celebrity endorsement of the 90s, it’s a “get what you pay for” business model. The more followers an influencer has, the higher their day rate will be. Some accounts are small enough, where a comped meal will do the trick- others will want possibly hundreds of dollars. So based on the marketing budget, it might be smarter to hire 20 mid-size influencers then to hire 2–3 big accounts. I can’t stress how effective influencers are in 2019. Yelp and Google Maps are essential apps on everyone’s phone. Some use one more than the other but both are great ways for hungry customers to find your restaurant. Obviously, the reviews are out of the restaurant’s control but there are certain key features that restaurant owners should consider. The first major step on these apps is to populate your restaurant’s profile with clear, understandable photos. Notice I didn’t say pretty or beautiful photos. (See Strategy #4). So many make-or-break moments happen when a customer can’t read the menu, clearly see the restaurant’s atmosphere, or only see a few decent photos of the food. Clearly show or list your menu items on these apps. And if you do link to the restaurant’s website, it had better be simple and mobile-friendly. In this discovery process, customers aren’t looking for the prettiest restaurant, they need the facts first. Once they know what the restaurant serves THEN they begin weighing the fluff and frills. Get really detailed with the metadata (Food Genre, Reservation Process, Directions, Descriptions, Pricing). The more specific the better. Continue to update these profiles regularly. Food should not only taste good but it should look good. And not only should it look good, but it should look good in a photograph. Take photos of your dishes as they’re finish plating, while they’re in the prep phase, while they’re on the grill. Shoot photos of every stage of your dishes! Hiring a professional photographer is the next logical step. Chefs may know how to plate it properly but lighting and editing the photo may not come as natural. Start a relationship with one or twenty photographers around town. Make it worth their while — pay them fairly, comp their meal. Don’t promise them “exposure”. Content Creators can’t pay the bills with “exposure” and “opportunities”. Understand the hashtag game on Instagram. Take a bazillion photos of the food. So this may not come as natural as photography or setting up a Yelp account, but this can be wildly effective. When people talk about paid-for Facebook Ads, they often think of the “Boost Post” blue button that many business accounts are used to seeing- There is actually one step deeper. When we refer to paid-for Facebook or Instagram Ads, we’re talking about very selective, and very targeted promotions set up on Facebook’s Ad Manager page. (We might have to make a whole blog post about this). These ads are set up based on your custom audience, geography, customer’s interest, website activity, marketing budget, and creative posts. Sounds overwhelming but once you begin the Ad Creation Process, it all is self-explanatory. Marketers have a bad habit of creating fancy words for very simple concepts. In the simplest of terms, Facebook and Instagram ads allow restaurants to target the right potential customers and not waste money advertising to the wrong customer. Video has been an elusive content strategy for many chefs and restaurants in DC and across the world for that matter. Usually, restaurant staffs and even the marketing team (if the restaurant is lucky to have one) can barely keep up with posting a photo or two on Instagram. But! Pessimistic thinking aside, video content grabs attention like no other piece of content. We use the phrase “break the pattern” to refer to video because of its ability to stop the mindless newsfeed-scrolling. As we said in the Photo Content, food is an incredibly visual thing and with video, you bring the picture to life. There are plenty of prime examples where the use of video separates brands from the pack. Video allows the restaurant/brand/chef to explore a deeper story that connects with audiences, builds credibility, and piques curiosity. (A lot of sales-y woo-woo words, I know) Think about what Bon Appetit on YouTube, Chef’s Table on Netflix, and F*ck That’s Delicious on HBO. They all tell rich stories over months and months that build a real connection with their audiences. Experiment with telling a food-central story and then a people-central video story. 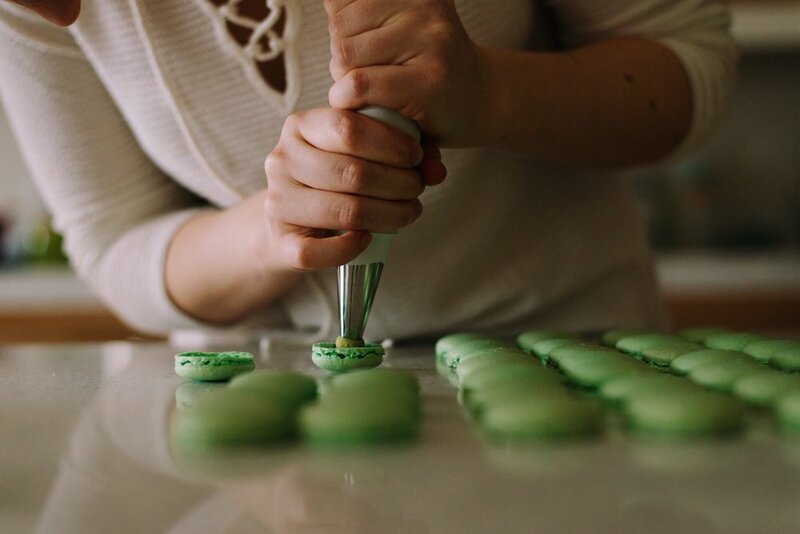 Start producing food video content on a regular basis (or one episode). Take some creative risks in trying to connect with your customers. Don’t lose the “We are a DC media brand” mindset. Jordan P. Anderson is a cinematographer and content strategist based out of the Washington, D.C. area. Jordan takes on projects by first understanding a client’s business and their needs as a company. 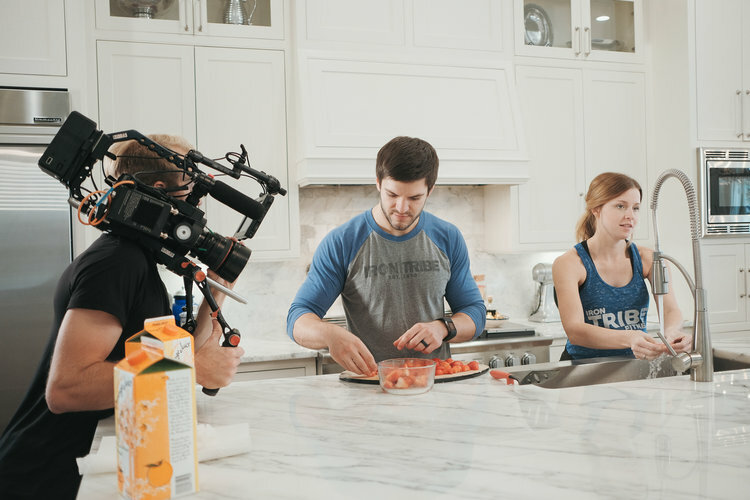 Knowing the core strategy, Jordan is able to produce effective and compelling video content to help solve the client’s pain points. In total, Jordan has worked on over 400 video campaigns aimed at solving his client’s problems. The strength of this particular Iron Tribe Fitness franchise was its familial atmosphere and strong dedication to community-building. 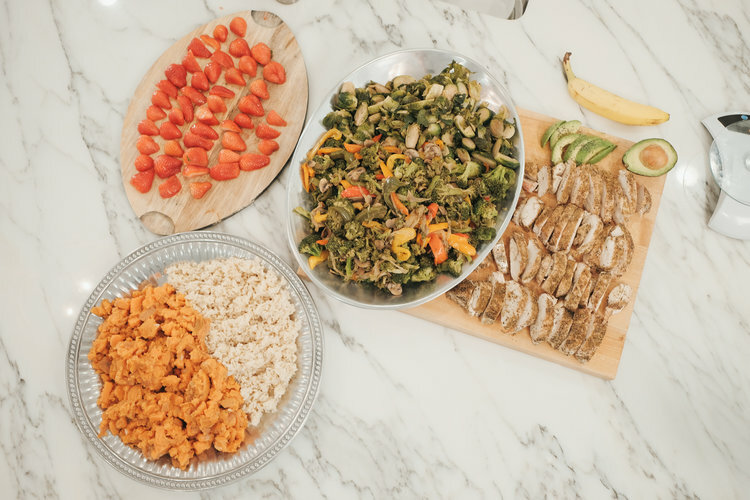 Building off their strong sense of community and "The Tribe," our approach was always aimed at targeting potential clients that were familiar with the Baton Rouge Mid City area, friends living in Mid City, and the Iron Tribe staff members. All forms of content would need to be contextually relevant to potential gym members and avoid the hard "right hook" of direct sales. Our photo/video content needed to build a relationship with members that would be reliable and long-lasting. We wanted the video to relate directly with the target audience. 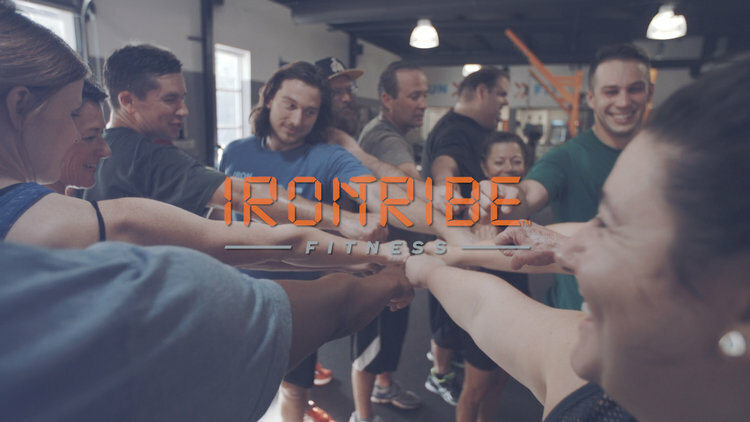 For this video, it's male-driven and the visuals and sound bites reflect a male's perspective for joining Iron Tribe Fitness. This campaign was heavily mobile-based and most of the ad spend would be on Instagram. It's music-based and doesn't rely on sound bites to carry the story. Instead, it's visually-driven with the option for sound on or off. The master cut video showcases Iron Tribe Fitness Mid City's strength and value to the community. We interviewed actual Iron Tribe members and told their story. Starting A Vlog: Is It Right for Me? SHOULD I START A VLOG?? The Vlog as we knew it 2 years has steeply dropped in value. However, taking a modern approach to the vlog style is one way to stay relevant to your audience. In this episode, I talk about the startegy behind small businesses starting a vlog and the value it has for them. Vlogs can be used aim at small niches with big results. Start your "reality TV" show and regain your audience's attention.